I can only barely remember reading this short novel in my childhood. The premise is that a man has brain surgery, which results in him being able to consciously (and unconsciously) change reality with the power of his mind. There are few points that I remember of this short novel, or "half a book" novel that was so popular in the 1970s/1980s. Character is not born with the ability, but gains it through brain surgery after an accident. Set in a modern-day metropolis, a very large city. Character has a girlfriend the entire time (this is important later). Character comes to know a person (male?) who has the ability to live through the main character's changes without his/her awareness being changed. So this person knows someone is changing reality, and eventually finds the main character. Character eventually learns to control his power, but his subconscious mind won't stop changing reality to make his life better, easier. In the last few pages of the story, the character whose awareness cannot be changed tries to convince the person to stop, but the main character's subconscious mind turns the person into a paraplegic in a wheelchair so that the person cannot harm him. the person with awareness convinces the girlfriend to kill the main character in his sleep so that reality will stop changing. The story ends with the person with awareness seeing a few last changes to the world after this happens. The story is not "The Lathe of Heaven (1971) by Ursula K. Le Guin." Similar, but not the same about a world-controlling reality-changer. I believe I read it before 1985. The Earth described in the story never got past the stereotypical New York setting. In a world pocked with gutted buildings, looted stores and packs of computer-implanted wild dogs, one man senses more than mere devastation in his surroundings. 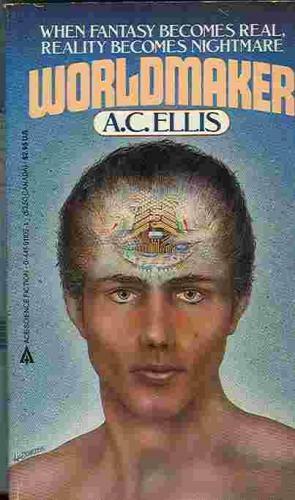 He begins to grasp that the biochip in his own skull enables him to change reality at will-a tantalizing prospect until he realizes he isn't the only one with that ability. "An intriguing adventure story that has more than a little to say about our ideas of reality. Like his hero, Ellis takes on the whole world in this book. "-Connie Willis, winner of both the Hugo and Nebula awards. Published in '85 as a novel but it does say that portions were previously published in a somewhat different form. Can you identify this novel about mind control, where everyone wears catsuits?